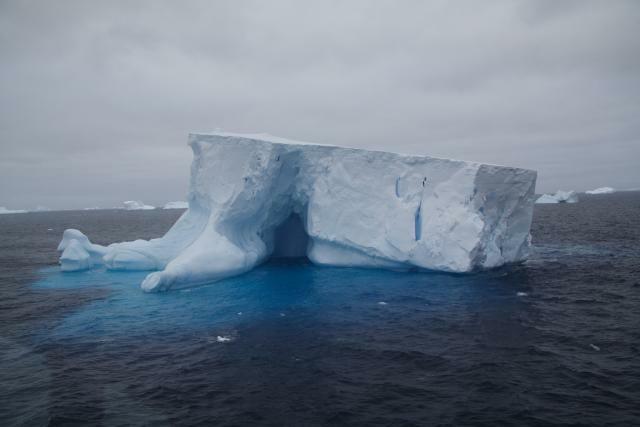 Icebergs are generated when large pieces are breaking off from an ice shelf. They can be 10s to several 1000 m in diameter and up to over 400 m thick. Waves and water wash and melt the larger icebergs until they turn around and break into smaller pieces. The result are different forms and shapes.